English American author, columnist, essayist, orator, religious and literary critic, social critic and journalist. Contributed to New Statesman, The Nation, The Atlantic, London Review of Books, The Times Literary Supplement, Slate, and Vanity Fair. Author, co-author, editor or co-editor of over 30 books, including 5 collections of essays, on a range of subjects, including politics, literature, and religion. 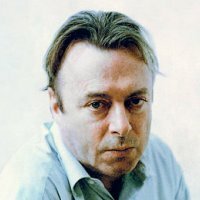 A staple of talk shows and lecture circuits, his confrontational style of debate made him both a lauded and controversial figure and public intellectual.